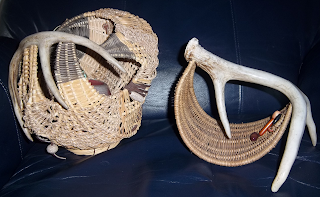 Paul and Jill Scarpari both love the craft of basketry and have been weaving for fifteen and twenty years, respectively. The Scrapari's business, Scrap Baskets has a wide variety of baskets available-from bread baskets to hampers to wine carriers and sculptures. 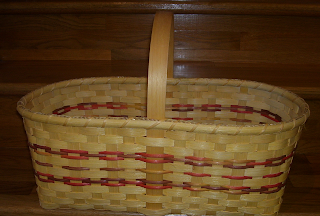 Find the Scarpari's and their baskets at the Sogn Valley Craft Fair on October 1st and 2nd, 2011. Sogn Valley Craft Fair is a Minnesota tradition; 2011 marks our 39th year bringing fine art, crafts and local and artisinal foods in a beautiful country setting. SVCF is located in Minnesota's Sogn Valley in Southeastern Minnesota. The Sogn Valley landscape is rolling hills, farmland, forests and small fast-moving rivers and streams. For many Twin Citians a trip to SVCF is a chance to both shop for excellent artwork and crafts AND get away from the city--but not too far. SVCF is just 45 minutes from the Twin Cities and it's a lovely drive. In early October the trees will be changing colors and you might see some deer or wild turkeys on your way down. SVCF is an intimate juried show. That means our artists are invited to the show based on the quality of their work with an eye towards representing diverse media. Our artists include a wide variety of potters,including those working in raku, porclein and stoneware, functional and sculptural pottery, jewelers working in silver and gold and beads, painting, photography, basketry, fabric artists, metalwork and more. Visitors can definitely expect to view all of our artists work during a morning or afternoon at the Fair.